In the heart of it all . . . Yes, The Springs at Simpsonville is in the heart of our community with local ownership as well as local leadership through our advisory board. These dedicated servant leaders assist The Springs in our involvement in the Simpsonville and Greenville County area and keep us informed about local growth, development, and special needs. We are honored to have them actively involved with The Springs. 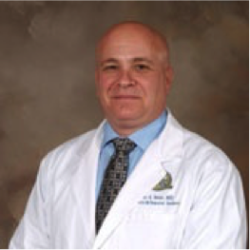 Dr. Eric S. Bour has served as president of Greenville Health System (GHS) Hillcrest Memorial Hospital and Simpsonville Medical Campus since 2011. 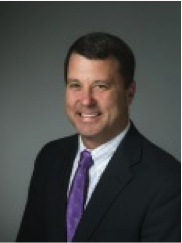 He currently serves as Chair of the GHS Quality and Patient Safety Council and is an Associate Professor of Surgery at University of South Carolina School of Medicine – Greenville. Bour has practiced bariatric and general surgery in the Upstate of South Carolina for over a decade. He is a Fellow of the American College of Surgeons and certified by the American Board of Surgery. Bour received a Bachelor of Arts Degree from Emory University and then attended the Pennsylvania State University Medical School. He completed his surgical residency and post-doctoral research fellowship at the Pennsylvania State University Milton S. Hershey Medical Center. He has also served as academic faculty at the Pennsylvania State University Milton S. Hershey Medical Center and University of South Carolina before moving to Greenville. He and his wife, Katie, reside in Simpsonville. 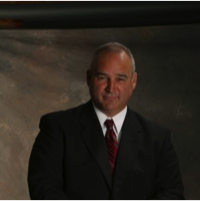 Mr. Ed Brashier is a local insurance representative with a long history of service to the City of Simpsonville as well. He served for two terms as a member of the city council and served for almost 12 years as chair of the Planning Commission. He is also a former member of the Board of Zoning and Building Appeals for the City of Simpsonville. Brashier is active with the Rotary Club of Simpsonville and serves as treasurer and Sunday School teacher at Unity Baptist Church. He and his wife, Pat, have not only been active members of the Simpsonville community at large, but also active volunteers at The Springs. Mr. Timothy Brett is president of BrettSC, a Greenville-based public relations firm. Brett is the former senior executive assistant for the late Governor Carroll Campbell, Jr. and also served two terms in the South Carolina House of Representatives. 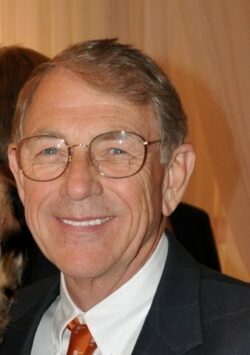 Brett is past president of the Mauldin Rotary Club and previously chaired The Salvation Army Board of Advisors. He and his wife, Rita, live in Mauldin. They have two children and four grandchildren. Mr. Van Broad serves as the community development director for the City of Mauldin, and he previously worked with the City of Fountain Inn. Broad earned his undergraduate degree in business and music from the College of Charleston, and he earned a certificate of economic development from the South Carolina Economic Development School. He and his wife, June, live in Fountain Inn and are active in supporting many local organizations. 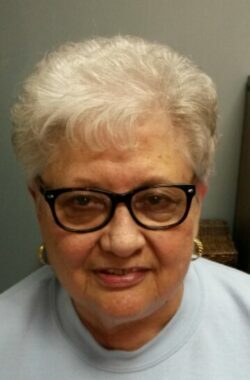 Mrs. Eleanor H. Brooks is a lifelong resident of the Fountain Inn/Simpsonville area. She and her husband, H. Clyde Brooks, have been married for 61 years. Brooks worked for almost 38 years as office manager for her husband’s State Farm Insurance of Simpsonville. Brooks currently serves on many local boards, including the James Monroe Mission House, Clemson Extension Advisory, and the Hospitality of the Younts Center. For more than 40 years, she has served as a member of both the Fountain Inn and Simpsonville Chambers of Commerce, serving as president of the Simpsonville Chamber of Commerce during 2000 and 2001. Brooks previously served on the Greenville Technical College Foundation Board, and she contributes to both the Greenville Technical College and the Clemson Scholarship Fund. Brooks and her husband are active members of Trinity United Methodist Church in Fountain Inn and active members of the local community. Mr. Gwinn Davis took voluntary early retirement to pursue freelance opportunities after serving for over 35 years as lead photojournalist for the Greenville News and Tribune-Times. Davis and his wife, Sandi, live in Simpsonville where Davis has spent his career documenting the history of Simpsonville and the Golden Strip through photographs. He has won numerous awards from both the national and the South Carolina press associations. Davis continues his passion of photographing local news, features, and sporting events for a number of different media outlets. Mrs. Mary Dennis and her late husband, Robert Earl Dennis, were involved for over 40 years with Cedar Grove Baptist church where he served as pastor. Dennis worked with children’s programs at Cedar Grove and has been a mentor to many children in the Simpsonville area. Dennis is now a member at Reedy Fork Baptist Church. She is also part of a county-wide group of minister’s wives and widows. Dennis has two daughters, four grandchildren, and one great-grandchild. 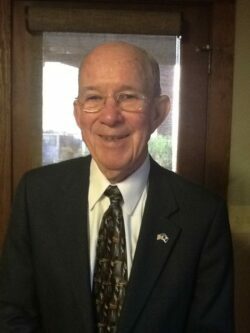 Mr. Ralph Hendricks has a long history of service in Simpsonville. He began working for his father-in-law’s building supply business in 1940 and continues to be active in running Hendricks Properties, Inc. He served for 13 years on the Simpsonville City Council and then for 12 years as the mayor of Simpsonville. Hendricks and his wife, Marion, have provided support for many local organizations, including Greenville Technical College, Marietta Baptist Camp, Meals on Wheels, Greenville Rescue Mission, YMCA, Salvation Army, and the Greenville Literacy Association. The Simpsonville Library was named in his honor. Mrs. Marilyn Koon Hendrix has spent the greatest part of her life helping people. Following her graduation from Winthrop College, she began a public education career which began as a classroom teacher. Over the next 32 years, she also worked as a guidance counselor, assistant principal, and principal. At the age of 33, she was named the first female secondary school principal in Greenville County; during the next 14 years, she led Mauldin High School to become one of the top high schools in the county, state, and the nation. Hendrix holds a master’s degree from Furman University and an education specialist degree from Clemson University; Hendrix also earned graduate hours at Western Carolina University and the University of South Carolina. Following her retirement from Greenville County Schools and employment at the Greenville Urban League as a vice president for education, she worked at Greenville Technical College in various positions, including associate vice president overseeing the three satellite campuses. During this time, Hendrix was elected to the School Board of Greenville County, serving two terms in this position. Since her retirement in 2009, she has served on several boards. She resides in Simpsonville with her husband, Bill, and their cat, Jib. H. G. “Butch” Kirven, Jr.
Mr. H. G. “Butch” Kirven, Jr. and his wife, Diane (a native of Simpsonville) live on League Road where they raise Belted Galloway cattle. 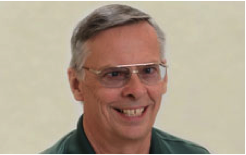 Kirven, a certified real estate appraiser, served for over 35-years in the US Army (Army National Guard), retiring in 2003 with the rank of brigadier general. 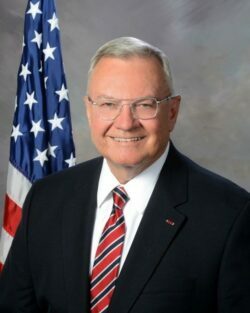 He served in Operation Noble Eagle following the September 11th attacks on the United States, and he is the Honorary Chairman of the Greenville County Joint Veterans Council. Kirven currently serves on the Greenville County Council, having been elected in 2004. He was chairman from 2005-2013. Mr. John South Lewis, originally from Mississippi, has made a home for his family in the Simpsonville area for nearly 40 years. Lewis retired from management with Oerlikon where he led a team responsible for serving the western hemisphere. Lewis’s mother was an early resident at The Springs, and he and his wife, Jan, enjoy serving as volunteers throughout the year. Lewis and his wife have twin sons; South Lewis is an attorney in Greenville, and Fletcher Lewis is an executive with VF Corporation in Greensboro. 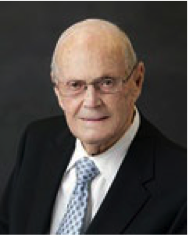 Mr. Jack E. Powers, retired director of human resources for the CRYOVAC division of W.R. Grace & Co., and his family have been actively involved in the Golden Strip community since 1959. He has been nationally recognized for involvement of employees, the design of jobs and organizations, and the development of salaries/benefits for all employees. Powers has also provided years of service to civic organizations in the Golden Strip and the Upstate. He and his wife, Audrey, live in Simpsonville. Dr. Dan Taylor is minister of senior adults/pastoral care at First Baptist Church of Simpsonville. He spent 26 years serving as a chaplain in the United States Army. He holds a Master of Divinity degree from Bob Jones University and a Doctor of Ministry degree from Erskine Seminary. Taylor and his wife, Judy, make their home in Simpsonville. Mr. Trey Werner is vice president and commercial relationship manager for Palmetto Bank in Simpsonville. Werner earned his undergraduate degree from Clemson University and also holds a graduate degree in banking from LSU. He and his wife, Christy, live in Simpsonville with their daughter, Chandler.